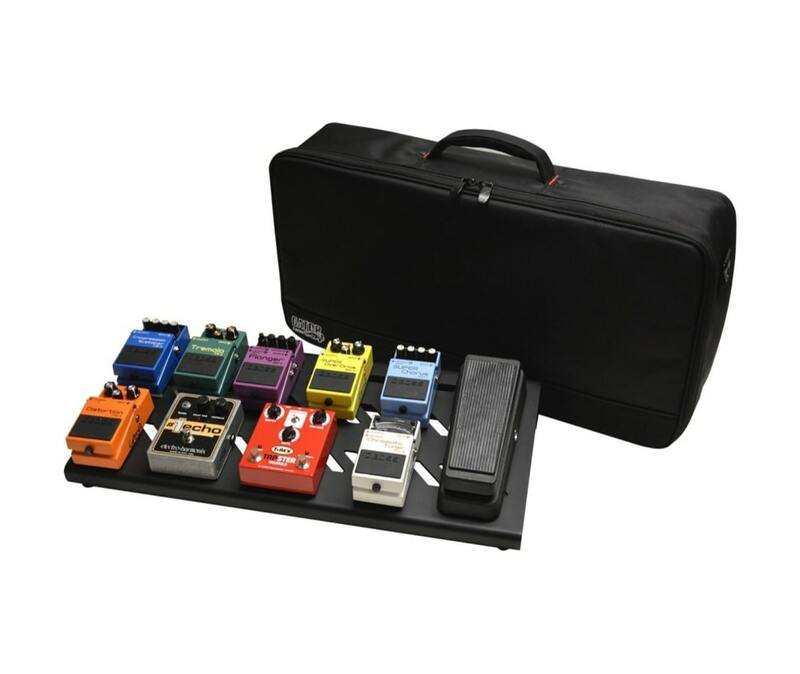 The Gator GPB-BAK-1 is a large, aluminum pedal board with Gator carry bag and bottom mounting power supply bracket. Power supply not included. Lightweight Aluminum "Made in the USA" pedal board. Pedal surface measures 23.75" x 10.66".